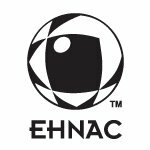 The Electronic Healthcare Network Accreditation Commission (EHNAC), a non-profit standards development organization and accrediting body, has partnered with DirectTrust to create a national accreditation program for health information “trusted agent” service providers, including health information service providers (HISPs), certificate authorities (CAs) and registration authorities (RAs). Impetus for the initiative comes from the growth of electronic health records, health information exchanges, and programs such as Meaningful Use, which drive interoperability and data sharing among healthcare stakeholders. Formal accreditation launched in early 2013 to selected beta organizations, and DirectTrust has already begun a testing and recognition program through which a number of HISPs and CAs have self-attested. This work has been integrated into the joint EHNAC and DirectTrust program. Criteria have been built on the “Security and Trust Specifications for HISPs, CAs and RAs” document developed by DirectTrust focusing on authentication of trust bundles, stakeholders and secure messaging. The criteria include the areas of privacy, security and confidentiality, technical performance, resources and implementation specifications, and include a self-attestation and site review(s). "Directed exchange is email that is easy to use, secure, and identity-validated for both providers and patients, and is rapidly becoming the preferred method for secure inter-vendor exchange of health information," says David C. Kibbe, MD MBA, president and CEO of DirectTrust. "But everyone involved needs to have confidence that exchanging parties will protect the privacy of the messages, and assure the identity of senders and receivers during transport. Accreditation provides that industry-wide assurance in an efficient and trustworthy manner." DirectTrust was formed by members within the Direct Project and was initially known as the Direct ‘Rules of the Road’ Workgroup. The Direct Project was launched in 2010 by the Office of the National Coordinator (ONC) as a national initiative that specifies Direct as a simple, secure, scalable, standards-based way for participants to send authenticated, encrypted health information directly to known, trusted recipients over the Internet. Adoption of the Direct standard has become an EHR requirement for Stages 2 and 3 of the Meaningful Use incentive program. For more information or to apply for DTAAP accreditation, please visit the EHNAC website.